Join us to celebrate arts in Beloit! Enjoy a night of art and entertainment! Casual lookers and serious buyers will find hundreds of works from local artists featured at various venues, many offering live music! Friday after hours, several venues heat up with live music, and restaurants and lounges offer enticing specials. 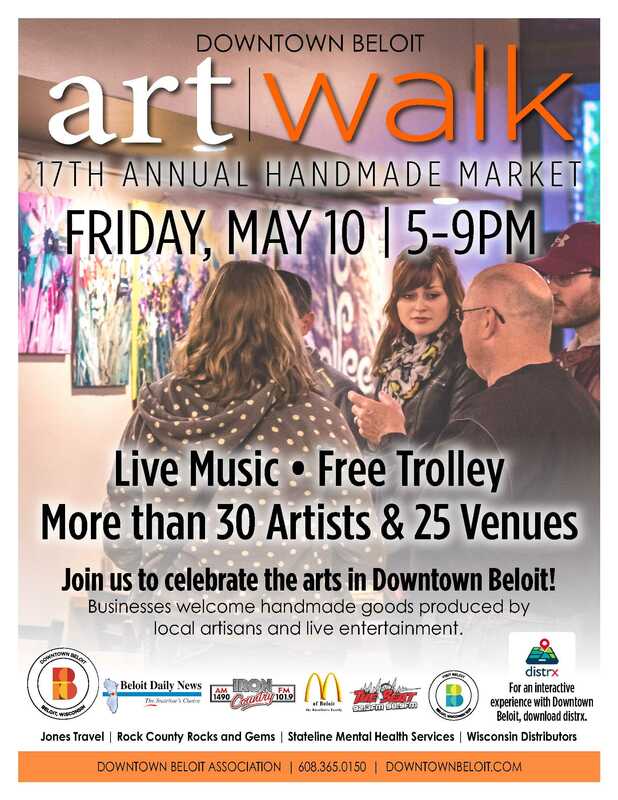 Friday night, catch the free trolley connecting all parking and exhibition areas throughout the event.